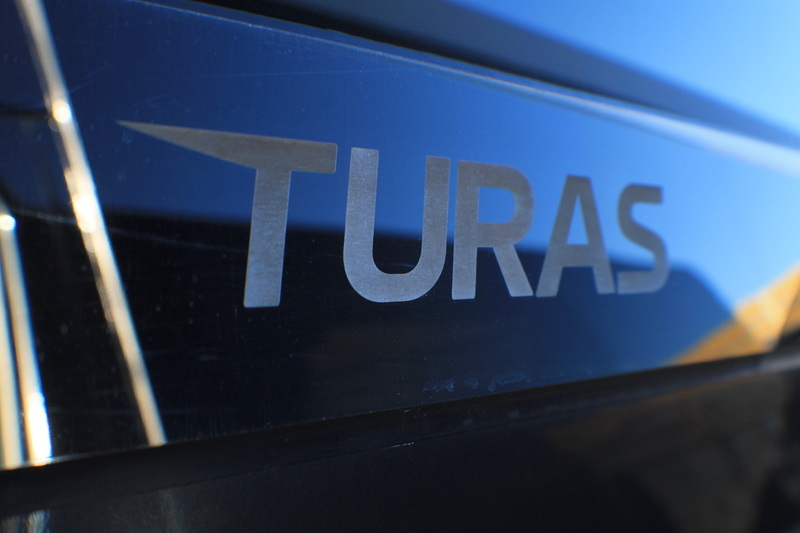 The luxury Mercedes Benz Turas coach from DC Chauffeur Drive is ideal for exclusive hire for larger groups. Perfect for both corporate and private use with a capacity of 29 passengers. Ideal coach for Golf Tours of 12 passengers. 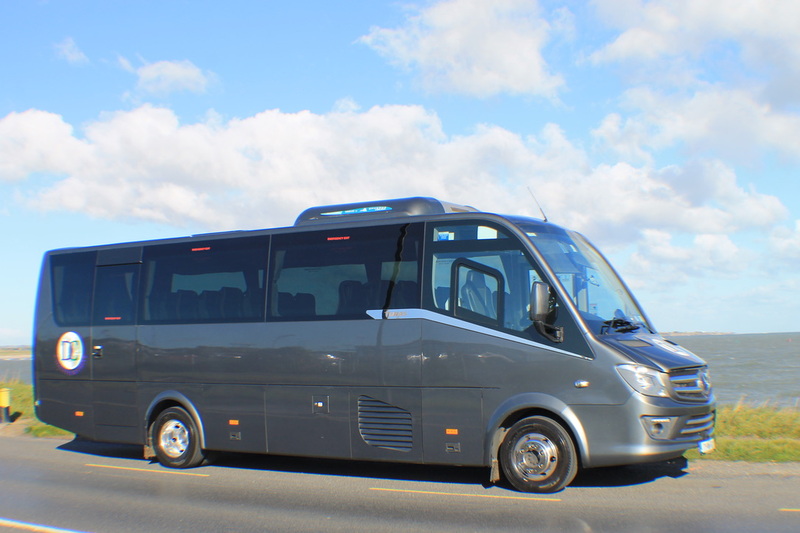 DC Chauffeur Drive is very pleased to present this luxury Mercedes Benz Turas coach with 29 seats – built in Spain to our very exacting specifications. This luxury vehicle has luxury seats and two tables. 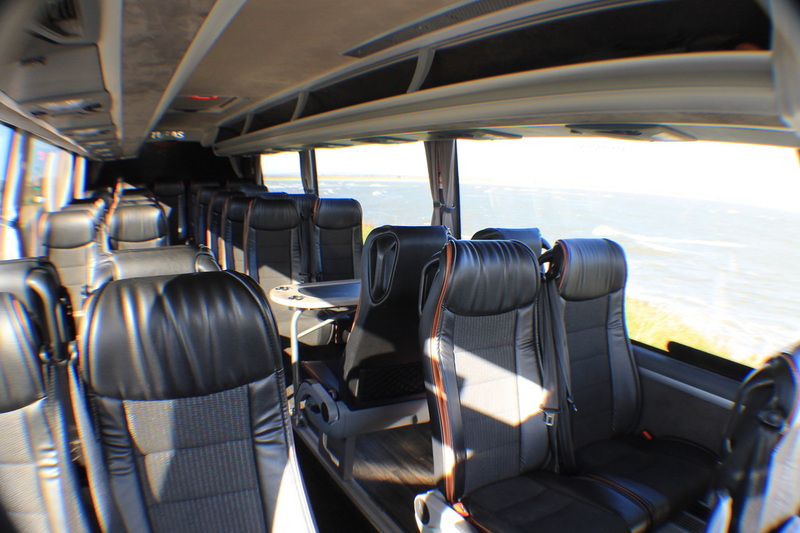 It comes with USB power supply points, on-board WiFi, a fridge, a DVD Player and a PA system. This vehicle has a large luggage capacity, perfect for larger golf trips and ideal for large band transport.